The video below is an interview by Paula Yates with Janet Jackson on the great UK show The Tube. The time is 1987 and Janet was by then a huge star with the success of her album Control and all it's great singles. She talks about her family, video making with Mary Lambert, working in the studio with Jimmy Jam & Terry Lewis, Whitney Houston and Prince's movies Purple Rain and Under The Cherry Moon. And Five Star too! 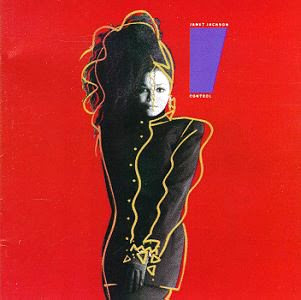 The song that Janet was promoting at the time was Let's Wait Awhile which would get to number 3 in the UK charts and it was the fifth single from Control. It's a sweet interview with Janet and Paula both looking fab. I so loved Janet's key earring. Paula was clearly going through a Madonna phase and doing it well.